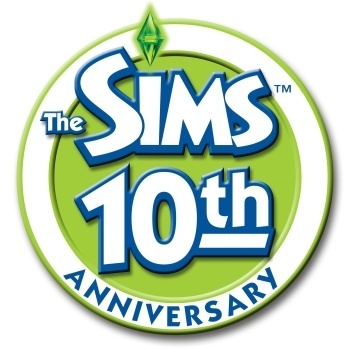 On the off-chance that you've made it this far through the day without feeling old before your time, here's some news that'll take the bounce out of your step: The Sims is ten years old today. Yes, it was on this day in the year 2000 that Maxis and Electronic Arts turned Will Wright's brainchild loose upon the world, launching a franchise that would become one of the most lucrative of all time. How lucrative, you ask? Collectively, the three Sims games and their multitudinous add-ons have punched out over 125 million unit sales worldwide, generating more than $2.5 billion - yes, billion - dollars in the process. The games have been released in 22 languages across 60 different countries and the most recent, The Sims 3, has sold more than 4.5 million units since it came out in June 2009. The community site at thesims3.com, meanwhile, takes in as many as six million unique visitors monthly and serves up more than 300 downloads per minute. "The Sims is a game that can be enjoyed by everybody and reflects what you put into it," said Rod Humble, head of the EA Play label. "The future of The Sims is going to be a lot of fun; it is rare for an entertainment franchise to be gaining momentum a decade after release, so this is a particularly pleasant moment for everyone who has worked on the games." In case that hasn't left you feeling old and sad, consider this: The Sims can actually trace its lineage back even further, to SimCity, which was released in 1989 on platforms like the Amiga, the Macintosh and the Commodore 64. That's right, 21 years ago. Not feeling like such a spring chicken now, are you? EA is marking the tenth anniversary of The Sims with a year-long celebration that will include a special Sims 3 bundle, collectible art work, laptop and iPod skins, free anniversary gifts and more. Full details are available at thesims3.com, but be careful on your way there. You don't want to fall and break a hip.